Home / Time for a duel! 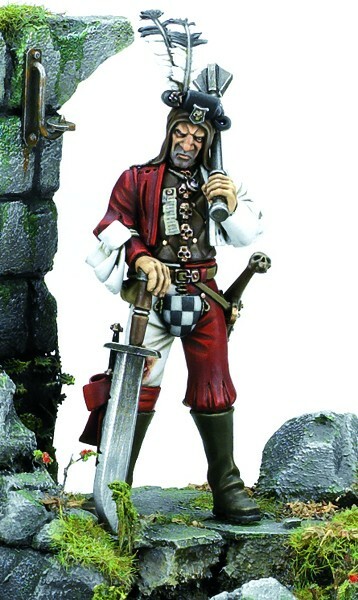 A friend of mine for who I usually paint his Empire characters has recently brought me another model to take a look on. This time was quite newish mianiature of young nobleman, described by GW as a “Duellist”. The model comes in Mail Order service together with another noble, but definetely less attractive. This mini speak for itself and no other additions are needed for such atmosphere. Taking into account that my model is mostly dedicated for gaming purpouses it`s abvious, that I couldn`t go for such delicate base and only the painting itself could be my added value. I hope it will meet with yours expectacions. C&C are welcome as usuall! The Coolminiornot.com is regulary preparing the Annual, which is composition of the best miniatures which appeared on CMON through the described year. This time my works have found they place in book also.